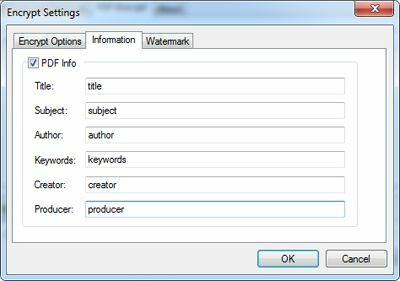 The Watermark option allows you to add watermark to output documents. 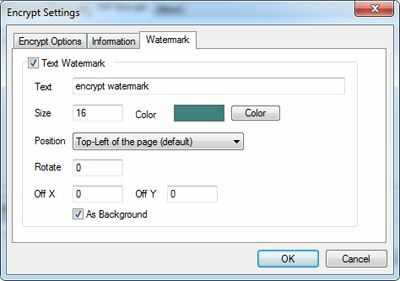 Document open password: A Document Open password (also known as a user password) requires a user to type a password to open the PDF. 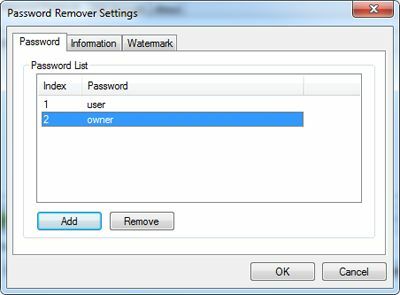 Permissions password: A permissions password (also known as a master password) requires a password to change permission settings. 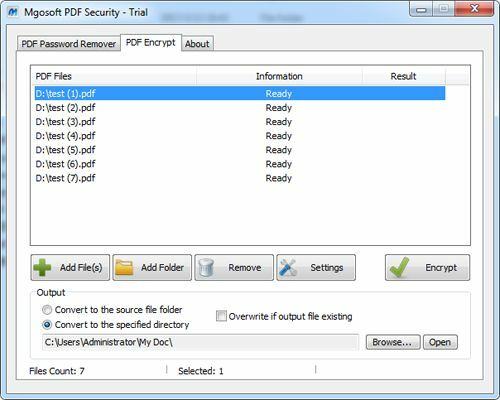 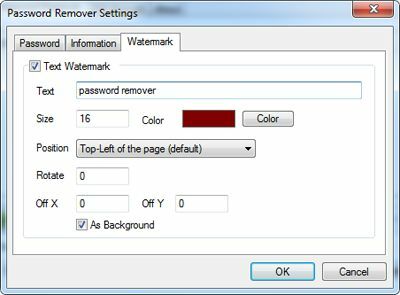 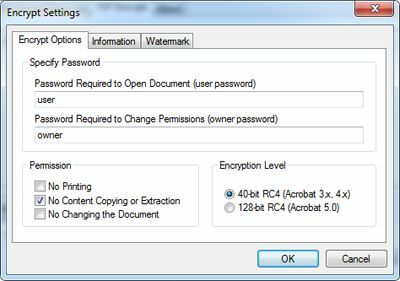 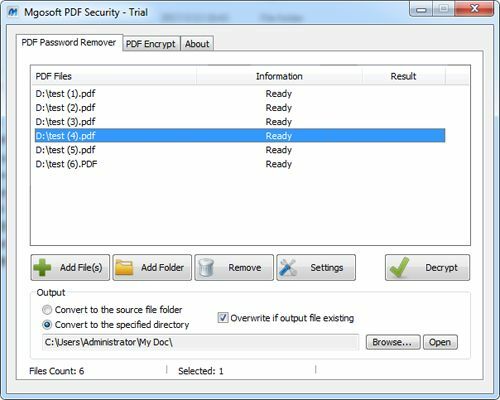 Using a permissions password, you can restrict printing, editing, and copying content in the PDF. 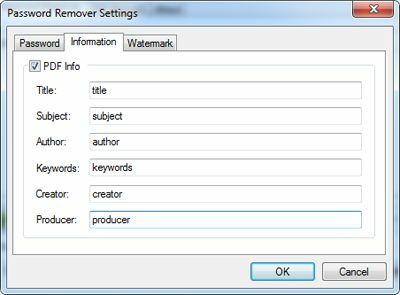 Permission: You can prevent users from printing, editing, or copying content in a PDF.